Eating a rainbow of vegetables is so important to be able to get all the different anti-oxidant and disease fighting nutrients into you. Combining this with quinoa, a gluten free, protein rich carbohydrate will provide you with a complete meal. Cook quinoa as per instructions. Make sure that you soak the quinoa the night before to remove any of the bitterness and rinse well before cooking. I also like to cook mine in vegetable stock to add some more flavour. Whilst the quinoa is cooking, prepare all other vegetables and herbs. 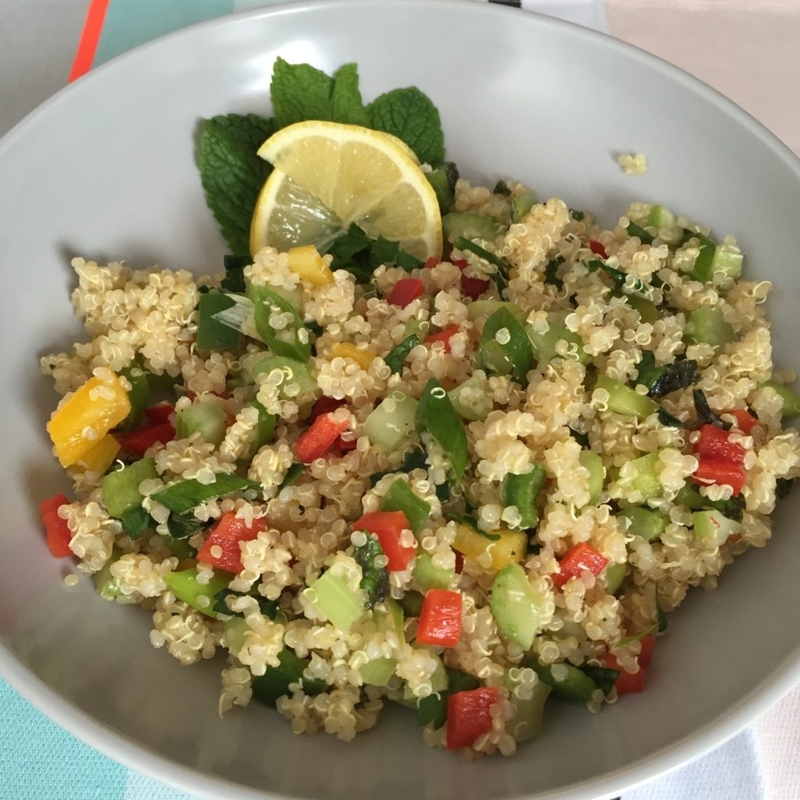 Combine cooked quinoa with vegetables and then dress with lemon juice, olive oil and seasonings.